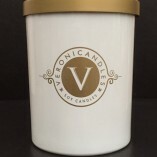 At Veronicandles we are committed to protecting your privacy. We only use the information we collect about you to process orders. By visiting www.veronicandles.com you agree to be bound it’s terms and conditions. If you are not in agreement with any of the terms and conditions stated below, it is asked that you do not use this website. When you order, we need to know your name, telephone number, e-mail address, mailing address. If you leave out information or incorrectly fill in info, your order may be delayed. 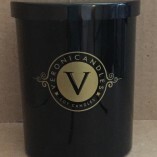 Veronicandles currently accepts PayPal payments only and your credit card information will only be used by PayPal, making your purchase experience secure. The information that you provide to us is safe; we will never sell, trade or rent your personal information to others. We appreciate every customer and are constantly striving to make your shopping experience great. Thank you for your time and patronage.